AFerryAgent - The easiest way to book a ferry! The best ferry deals online One easy booking system for agents! Compare the best prices here! With AFerry you get the best ferry deals across Europe + you earn 5% commission on all bookings. With a choice of over 2000 ferry routes and over 150 ferry operators, you know you are getting the best deals all year round for your customers, and all in one convenient location. All offers/prices are updated daily so check this page regularly to secure your ferry best deal online. Search for your preferred route using our booking form and secure the best ferry deals available today. Check availability and start earning commission today. Booking details will be emailed directly to you with full reference details for travel, once booked. You can book ferries to and from over 70 countries worldwide. Below is a short list of our more popular destinations. 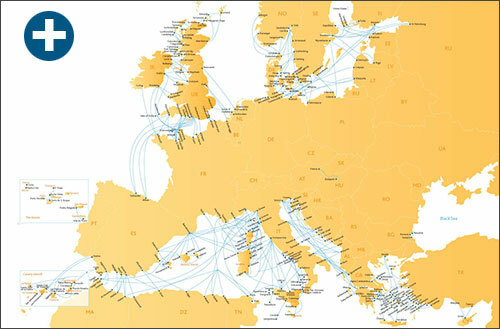 With routes in Europe, Asia, Australia and even parts of North Africa. 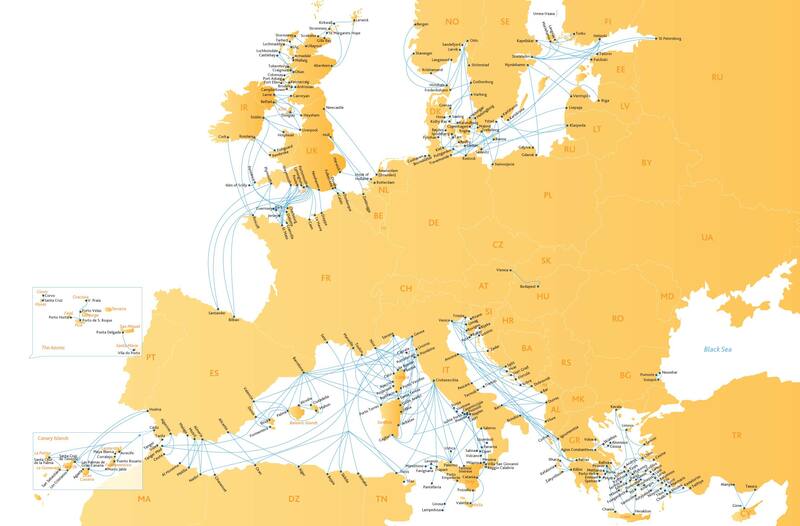 With such an extensive choice of ferry routes to choose from, you can be sure that wherever you are travelling in Europe we have it covered. From the UK to Ireland and France, Italy, Belgium, Holland and Scandinavia, plus all major Mediterranean routes including North Africa and Asia. Click our map to see the extensive range of routes we offer, or simply use the drop down list in the booking tool above to choose your preferred route, it's really that easy! We are continually adding more routes so please check the booking form if you don't see your route on the map.